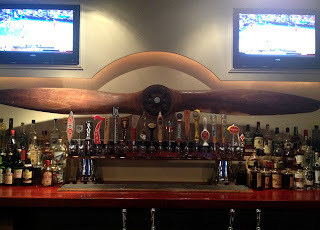 There's an emphasis on craft beers at the Copper Coin, but the food and cocktails are by no means simply a mediocre afterthought. 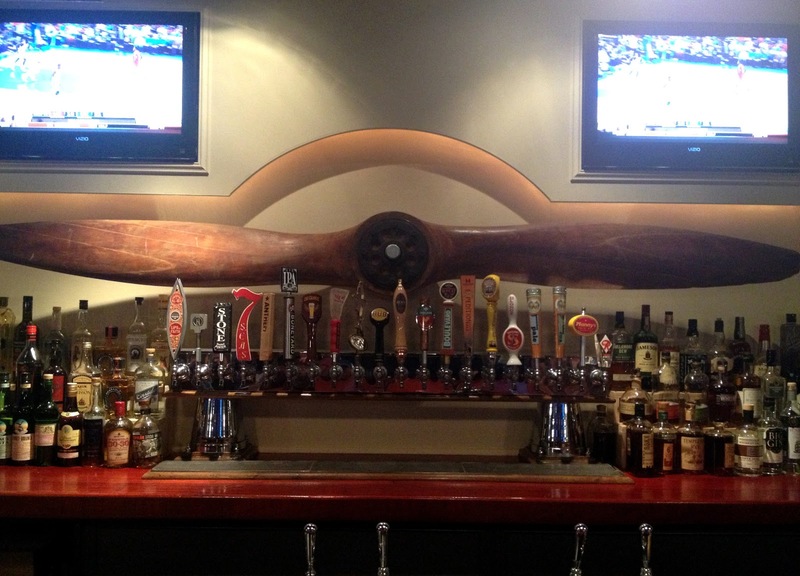 There are 20 interesting beers on tap, including a house brew created by Two Beers Brewery. But the owner, who owns Hill's Neighborhood Restaurant in Richmond Beach and is a nephew of the owners of local hamburger mecca Red Mill, has also provided much better than average mixed drinks and food options. I tried the Whisky Blaxton, Justland Sour, and Old Hat, and enjoyed them all. 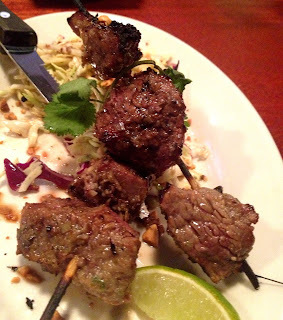 The Vietnamese beef skewers came with a tasty peanut slaw and lemongrass marinade, and the other dishes we saw looked really good.